Today I participated in the Street Fighter IV Tournament at the Play N Trade in Colonie Center. Since I have about 4 hours of play with the game I didn't do too well. I did much better at the Street Fighter Alpha 3 Tournament last weekend. I only won one match out of four. Johnathan (seated on right playing as Ryu) Vs Michael (standing on left playing as Rose) -- This was an crazy intense matchup! Johnathan played much better against Sagat (same person as my final match) than I did. The standard wireless controller for the Xbox 360 is an excellent controller. It has a huge flaw -- its analog D-pad. Now while is is no where as bad as the D-pad on the PSP, It still makes playing fighting games difficult. Capcom in its infinte wisdom has worked with Mad Catz (eww.. 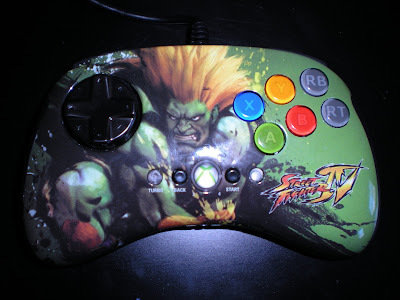 I know Mad Catz) to create a 6 button gamepad for the 360 and PS3. 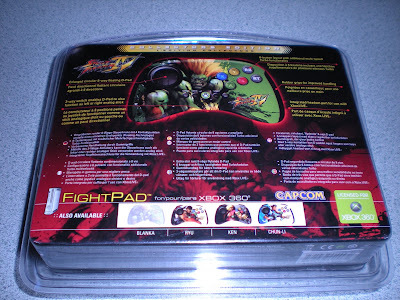 This Fightpad has 6 buttons on the face X,Y,A,B,RB and RT. The LB and LT remain on the shoulders but the LB moves to the right side. This is where the most siginifigant improvement has been made. The D-pad on this controller is very similar to a Sega Saturn 6 button D-pad in its construction, but it is larger. It is a little too large, which requires further thumb movements. This increases the time to perform a move on the controller. Overall this conteoller is oversized. The 6 face buttons are so large that I was frequently having to make sure I was pressing the right button. I am sure that I will adjust to this controller over time, but it would have been better if it were the size of the Saturn controller. One of the best features is that this controller is not burdened with 2 analog sticks. 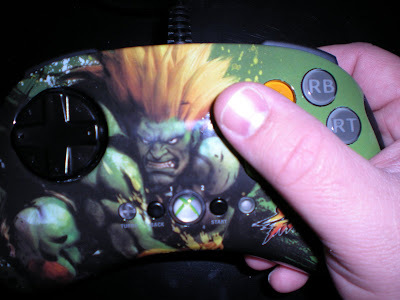 Mad Catz was able to do this by putting a switch on the back that changes the d-pad to act as the left stick or the right stick. I assume this was added in case any games require the analog stick to navigate the menus, which give it a great second use as an Live Arcade gamepad. This pad also has a turbo feature, but I have not had the need to use it yet. 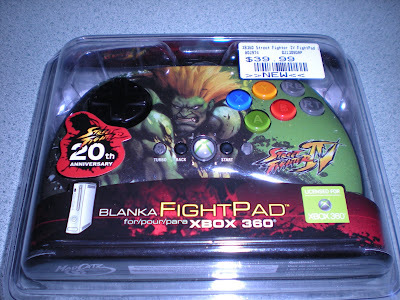 Overall for $39.99 this is an excellent buy and makes fighting games more fun on the 360. 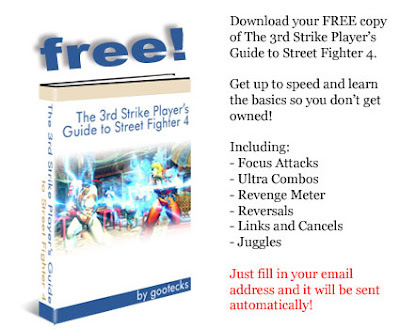 I know I will be using it at the Street Fighter IV tournament this weekend. I just wish it were wireless.